REVIEW: Not too long ago, cumbia was regarded as a quaintly archaic Latin American popular music form, its distinctive clip-clop rhythm calling to mind a trotting horse (or worse yet, a burro). But now it seems like cumbia-influenced adaptations are everywhere, from the Peruvian chicha revival to the Mexican musica tribal /pointy boots craze to hot Colombian urban artists like Bomba Estereo and ChocQuibTown. 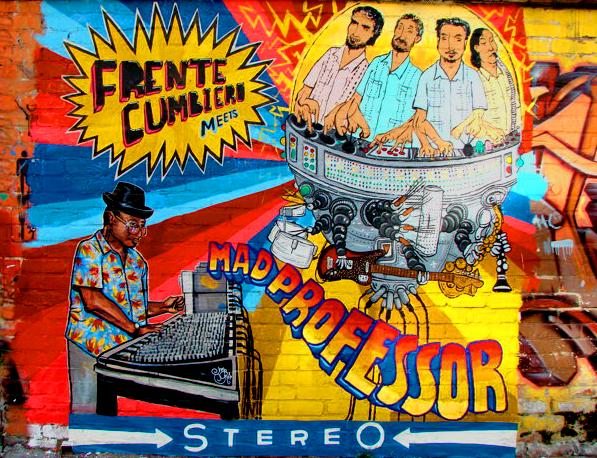 Frente Cumbiero is the nom de guerre of new-cumbia trendsetter Mario Galeano Toro of Colombia. He has mostly worked solo as a DJ and sampler, but now he’s put together a cracking live band under the Frente Cumbiero name; that’s who’s featured here, along with guest contributions from members of a number of prominent Colombian bands (Bomba Estereo, Monareta, La 33 and Mojarra Electrica, to name a few). Galeano has a great thing going here -- each of the tracks is set to a cumbia rhythm but spirals out in a different direction, into double-time dancefloor twang (track 2), spirited rapping (3), a jazzy Balkan horn-based sound (6), and much more. 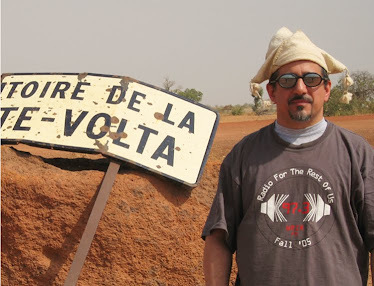 Plus a full set of remixes by legendary dub master Mad Professor. Really superb stuff, do not miss it.